Fleets are being urged to ensure they have wide-ranging road safety policies in place as the AA warns of company car drivers attempting to travel in the snow due to confusion over their fleet policy. 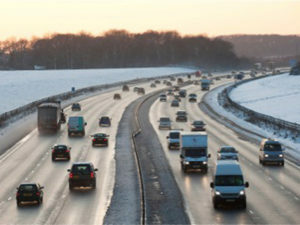 Fleets should have road safety policies covering bad weather as well as all other issues. The breakdown specialist had its busiest day of the year on Monday 11 December, recording 24,000 breakdowns, with many employees stranded at home or on the road in an attempt to get to work in the hazardous conditions. This included a number of employees trying to drive in the snow as they were unsure of what the company policy was. Earlier this year a study by TomTom Telematics found more than a fifth (21%) of UK companies with business drivers have no road safety policy in place while a further 4% of drivers didn’t actually know whether their organisation had a defined policy. Stuart Thomas, director of fleet and SME services at the AA, commented: “Following the terrible weather conditions that have hit the UK, there is a clear need for businesses to ensure their health and safety policy contains guidance on road safety. In particular, this applies to so-called grey fleets. This should include guidance on what to do in the event of poor weather conditions.